Visit our charity map and be amazed at the number of charities your funeral home can support right in your own backyard. Use the image above as your guide to locate charities in your area. Click Here to visit the live charity map built on the OrgHunter.com API. 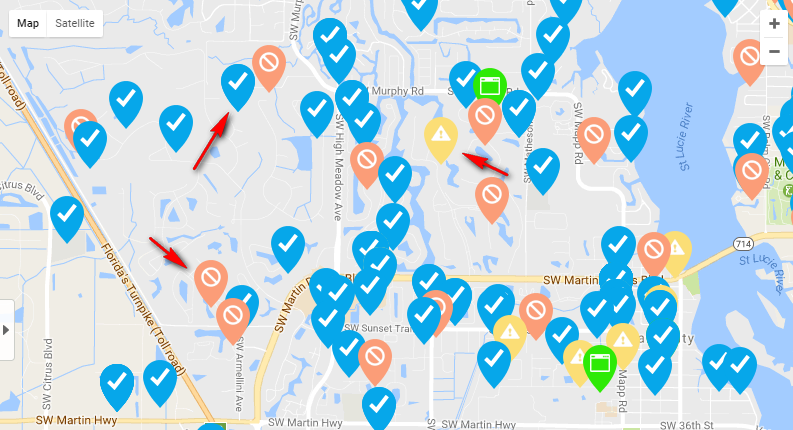 Blue or green map symbols indicate the organization is in good standing with the IRS and will be available for your families to choose from when recommending one or more organizations to support.